Want to participate in discovering some new math in real time? 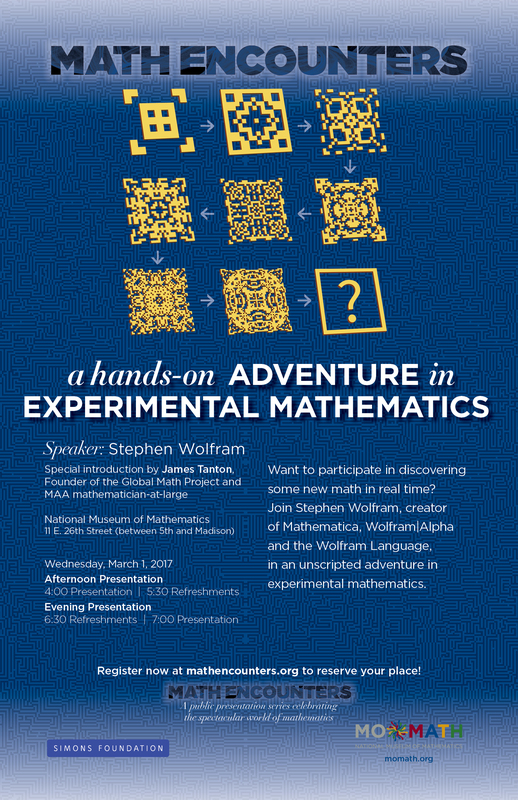 Join Stephen Wolfram, creator of Mathematica, Wolfram|Alpha, and the Wolfram Language, in an unscripted adventure in experimental mathematics. Special introduction by James Tanton, Founder of the Global Math Project and MAA mathematician-at-large. You are registering for the 4:00 pm session. Click here to register for the 7:00 pm session instead.